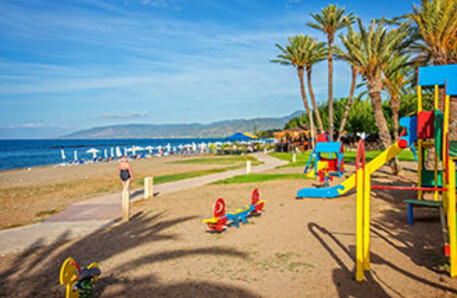 Children are welcome all over the island with Cypriot hospitality ensuring a warm greeting. While most children are at their happiest with a bucket and spade to build sand castles and splashing around in their own private swimming pool, there are plenty of places to visit for fun family days out. From waterparks and go karting to keep teenagers happy to Paphos Zoo and Protaras Ocean Aquarium for all ages, Cyprus is a great family holiday choice. Water Parks The four most popular water parks on the island are the Aphrodite Water park in Paphos, Fasouri Water mania in Limassol, Water World in Agia Napa and Anastasia Aquamania Waterpark in Protaras. All have special areas and rides for smaller children such as slides, fountains, water guns, and even a slippery octopus to climb. For the bigger children and brave and adventurous adults there are whirlpools, kamikaze slides, wave pools and water chutes plunging down into the darkness! They open daily at 10.00am from May to October. Boat Trips For a fun day out, try a boat trip which are organised from all resorts from April to November. From Paphos sail eastwards along the coast towards the famous Akamas Peninsula where you'll see Coral Bay, Corallia Bay and Lara Bay. If you're lucky, you may see the natural nesting area of the green turtle, Caretta Caretta in Lara Bay. Lunch with local wine is served on board. Jeep Safari in Akamas National Park From Paphos, drive through the local traditional villages to the Akamas Peninsulas in four-wheel drive jeeps. Visit Lara Bay, turtle nesting site and continue to the Avakas Gorge. On the way, you will enjoy your lunch in the heart of the Akamas forest and have time to swim in the crystal sea waters. Alternatively, clients may join the mountains safari with panoramic views and glimpses of local traditions and rural life in the surrounding mountain villages. Ithaki Amusement Park Ithaki Amusement Park and mini golf is in Coral Bay. Challenge your family to a round of mini-golf, play on the trampolines or take a break from the sun in the video games arcade and a cafe bar. Paphos Zoo Paphos Zoo has plenty of fascinating animals to see including tigers, giraffes and tortoise. There are also bird shows several times and day which are great fun for all the family. A free bus is provided by the Zoo from Coral Bay and Latchi. Cosmic Bowling Paphos Cosmic Bowling located between Old Town and Kato Paphos and offers many amenities such as a restaurant, cafe and bar and children's play area. The bowling arena has 18 lanes for play and you can have as many games as you wish so you can find out who is the best player in your party. Polis Go Karting Polis Go Karting located 1km out of Polis centre on the road to Argaka.There are different size karts so the whole family can enjoy the day out. Also sited here are bumper boats. The circuit is open March to November from 10am through to 11pm. There is a snack bar for refreshments. George's Ranch George’s Ranch is located in the picturesque Sea Caves area. The fully equipped stable yard has 30 stables and horses available for a wide variety of riding abilities. Trekking around the area of sea caves is an ideal way to see the stunning scenery, particularly at sunset. Natilus 7D cinema submarine Located in Paphos harbour this unique submarine shaped 7D cinema is only cinema on the water. Great fun for all the family. Simply pick one of seven different kind of movies, then sit back and feel all 7D effects The combination of 3D movies with chair movement (vibration, sway, tilt, drop, wave motion, or movement in any direction) other effects, such as wind blowing, water spraying, leg and back ticklers, make a great 7D experience. Kidsland (Looney Land) Located on the 1st floor of the Kings Avenue Mall, split into indoor and outdoor play spaces. Looney Land is for kids from around 2 – 10 years olds. The outside area has trampolines, wavy slides, a toy train track while inside there is a jungle gym. Refreshments are available. The amusement centre also offers a ‘leave the kids while you shop’ option. Magic Dancing Waters Show A fantastic live spectacular show with combinations of dancing colourful fountains, 3D laser graphics and animations and boasts to be the most realistic erupting volcano show in the world. It is great value for money and is the only place of its kind in Cyprus. Protaras Ocean Aquarium Relax and have fun as you delve into the depths of the exciting and diverse underwater world or take a walk in the beautiful tropical gardens. Enjoy a spectacular voyage through the rivers, lakes and oceans of the world. You will encounter 400 different species of sea life including turtles. The gardens are also beautiful and you can freely walk among tropical plant-life. There is a café for snacks and drinks. Star Leisure Mini Golf A small amusement park on the main Protaras-Cavo Greko Avenue. There are several different games for the kids, such as a bungee jumping, bumper cars, a small train, trampolines and a bouncy castle. Mini Golf is also on site for family fun. There is a snack bar that serves drinks and snacks.